Android vs iOS, Samsung vs Apple, Canon vs Nikon – every major market has its two most dominant brands. In the world of headphones, these brands happen to be Beats and Bose. The two brands have enjoyed a loyal following from their customers. 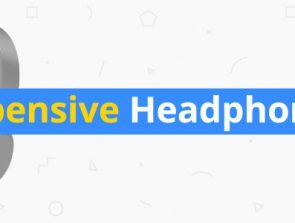 This is as a result of having consolidated their position in the market by offering attractive headphone designs with premium performance and a wide selection of features. But, which of the two is better? Just like every other product or brand in the market, each of them has areas where they excel. Similarly, each has areas where one has outdone the other. We will explore each brand and help you choose between a new pair of Bose or Beats headphones below. Design plays a major role in headphones. They are not only a great way to bring your entertainment with you on the go but, they are also a fashion statement. Beats has done an excellent job creating trendsetting headphones with a mixture of bright and bold colors and more subtle varieties as well. Their ability to design trendsetting headphones has seen the brand warm its way onto the ears of celebrities. It is also quite the darling among young users. On the other hand, Bose has carved out a niche designing classic looking headphones which are not as popular and have limited color combinations. The brand has tried to remedy this by partnering with ColorWare to allow its users choose the types of color combinations they want with their headphones. As much as this sounds great, it is quite expensive and costs a fourth of the total price of the headphones. That is a lot to pay to get some color on your headphones. Bose might not have the best aesthetics for their headphones. But, if there is one craft they have mastered in the production of high-end headphones, it has to be sound. The Beats brand is well-known for its deep bass but that is just about it. Bose offers a more comprehensive experience. 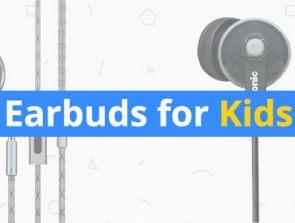 The brand does so by offering headphones that are well balanced with enough of bass and treble. On the other hand, Beat’s mids are more recessed and slightly loose. Bose offers more bang for your buck with tighter and clearer sound. Beats has come a long way in an attempt to cover the distance by introducing the Iconic Sound feature with the Beats Studio 2 brand. However, they have failed to match the quality and balance Bose has perfected with their Quiet Comfort line. The battle for who has the best noise reduction feature has been largely one sided with Bose taking most stars for it. In addition to passive noise cancellation methods, Beats recently introduced the Pure Adaptive Noise Cancelling feature with the Beats Studio3. It is quite the revolutionary advancement. This new noise cancellation technology would blow Bose out of the water if only there wasn’t an annoying white noise sound in the background. No one has ever done noise cancelling better than Bose. 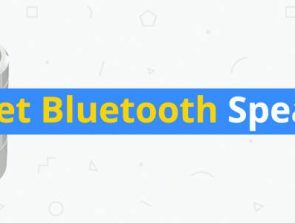 They have done it so well that you are able to get rid of most of the outside noise interference by just putting on the headphones with no music. There is also none of the hiss that plagues most Beats headphones. This goes to show how good their noise cancelling features are. Bose relies on a tighter fit for their noise canceling to work optimally. It is however not too tight to be considered a bother and most reviewers have expressed satisfaction with both the comfort and the noise cancellation ability that the Bose QuietComfort headphones have. Bose is able to guarantee users that they can expect significant noise reduction in almost any environment they find themselves in. Because of their ability to deliver on this promise, Bose definitely takes the stars for their effort at noise cancellation. What help is a good pair of headphones if you can’t enjoy your music for long periods without constant charging. With the Bose QC25, you don’t have to worry about the battery life. It is powered by an AAA battery which the company says is able to keep going for up to 35hours which is quite commendable. All the other models are wireless and battery life is even more critical. Bose claims their headphones are able to go for up to 20 hours before the next charge. It is a fair claim considering most users have confirmed that their headphones are able to do between 20 and 35 hours depending on the model. The Bose QC 35 II in particular is able to put out an impressive 40 hours of incredible audio performance in wired mode. This is also matched by the Beats Studio 3 which also goes for the same amount of time before you need to plug in when the active noise cancelling (ANC) is turned off. With the ANC on, the headphones will go for a decent 22 hours. The Bose QC35 IIs last roughly 20 hours in wireless mode. Generally, all of Bose’s headphones have longer battery life compared to the Beats. The shortest battery life by a pair of Bose headphones is 20 hours by the Bose QC35 headphones while Beats has the Solo 3 and Beats Solo 2 which have a measly battery life of 12 hours. If you’re staring at long hours stuck with the boring in-flight entertainment, Bose is your best chance to weather out the storm especially on those long flights. On average, they have a longer battery life compared to Beats. Your wireless headphones will not be of any help if they are not compatible with your devices. If you are an Apple lover, Bose is a good option since their products are built to serve one Operating system or the other exclusively. That means that they have Bose products meant for Android and they also have Bose for Apple products. If you have an Apple tablet and an Android Phone, Beats is a more practical option. Their headphones are compatible with either. They also work flawlessly and they are quite easy to pair both on iOS and Android. Even though Bose has products ideal for both Android and Apple lovers, it does not have any product that is able to work with both operating systems. That means, if you have devices from both divides, you have to buy separate headphones which is quite costly. Both brands have a decent job making sure they provide users with headphones that are comfortable to use for long periods of time. Bose’s QuietComfort line provides an extremely comfortable listening experience. The careful design of the cups makes sure you don’t feel like your ears are being squished by the cans or the mesh. It also helps that the headphones are light even though this means that there is some slight leakage of the audio when the volume is high. The padding is not only high quality but also very durable. This in return allows you to keep the headphones looking great for a long period of time. The biggest advantage that Beats has when it comes to comfort is that most of their headphones are adjustable. This allows for a better fit for different users. However, the cups are quite small and your ears might not fit around the cup unless they are small. The earpieces could also use a little more work especially with the regular customer complains of the material peeling. Beats has a heavier build compared to Bose but, it is not enough that it wears you down. Even though you might not appreciate having a few more ounces on your head, it does mean you have a better seal around the ear. This works to ensure that they are less likely to slip off. Both brands could do a little more to improve on comfort even though the job they have done is above standard. With premium headphones, expect to dig deep into your pockets in order to get the experience they offer. Both brands have very pricey options but Bose seems to have more products that are priced higher than Beats. However, given the craftsmanship and quality that the QuietComfort has to offer, it is safe to say that each of them deserves the price you will have to pay for them. In General, Beats has lower priced products. While they have a better aesthetic appearance, the performance is not quite like that of Bose which justifies the generally lower price tag. Considering the different price points and the experience that each of the two brands has to offer, it is safe to conclude that they both offer great value for money. To help you put into perspective the different factors and aspects used to make the conclusions for this comparisons, here is a table of the most popular headphone models from each brand. It goes on to show what they have to offer. 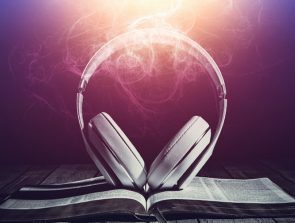 If you’re considering getting yourself a pair of headphones to keep you entertained on the road, there are quite a number of considerations you need to have in mind. Beats is known for its vibrant designs, colors, and deep bass. Bose costs more and it might not have the attention grabbing design but it is mellow to your ears with well-balanced sound and you don’t have to worry about your music leaking out or other noises coming in. Simply put, it is a matter of what means more to you – looks or performance. Bose are the brand that business professionals tend to flock to while Beats are popular among a younger audience. Great review! But I just wanted to kindly point out that you have a picture of the Bose QC 35 II headphone pictured at the top of the article which is currently the latest and greatest from Bose in Wireless noise cancelling headphones. However under comparability you mention that these headphones are only compatible with a single operating system which is incorrect. These headphones are compatible both both iOS and android products. I also wanted to point out that the top of the line Beats Studio 3 Wireless headphones are priced the same as the QC35 II’s at $349 however you have them listed at approx $249 on the graph.